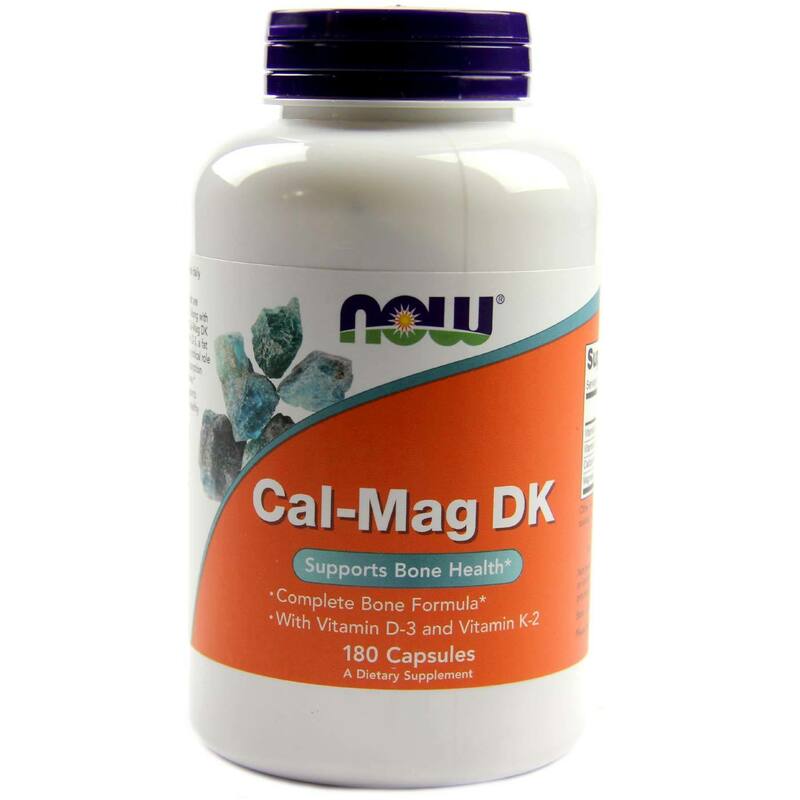 When it comes to calcium and magnesium you won't find a better combination than Cal-Mag DK by Now Foods. Warnings: For adults only. Consult your health practitioner before consumption if you are currently taking any anti-coagulant drugs (such as warfarin, coumadin, heparin) or have a medical condition, or if you are pregnant/nursing. Keep out of reach of children. Notes: Not manufactured with wheat, gluten, soy, milk, egg, shellfish or tree nut ingredients. Produced in a GMP facility that processes other ingredients containing these allergens. 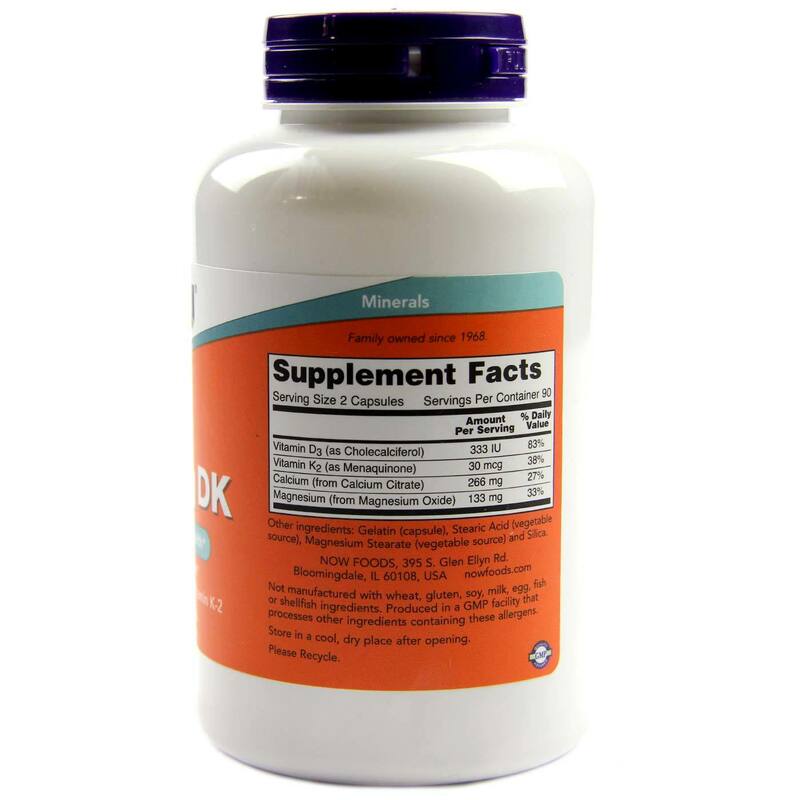 Recommended Use: As a dietary supplement, take 6 capsules daily in divided doses, preferably with food. 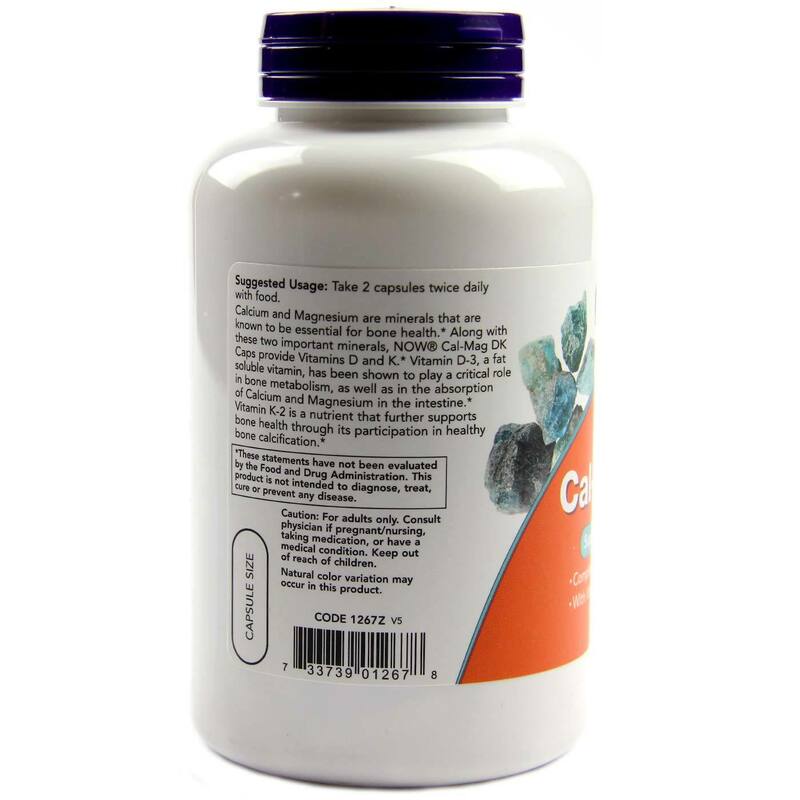 The customer reviews posted below are based on individual consumer experiences and may NOT necessarily represent what expected results will be from using or taking Now Foods Cal-Mag DK - 180 Capsules. These results may not be typical and you should not necessarily expect to receive the same results. Actual results may vary. Cal-Mag DK is a great product. 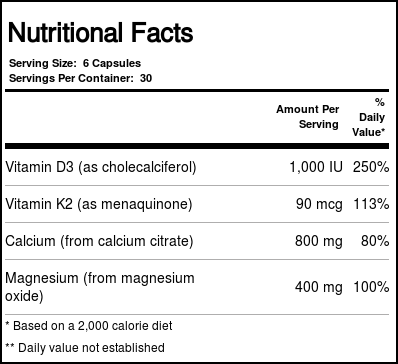 It's much easier to take D and K in a capsule with calcium and magnesium rather than taking two additional supplements.